During the ceremony speeches were delivered by H.E. 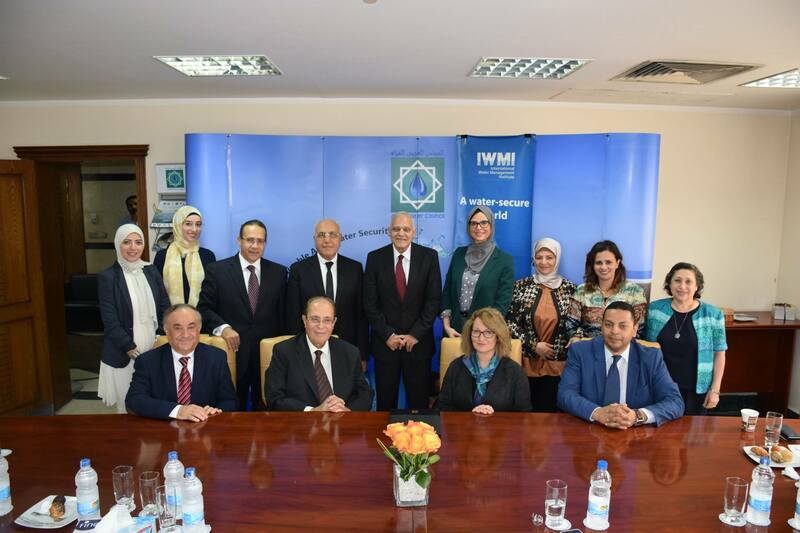 Dr. Mahmoud Abu Zeid, AWC President; Ms. Claudia Sadoff, IWMI Director General; Dr. Amgad Elmahdi,IWMI Head of MENA Region; Prof. Walid A. Abderrahman, AWC Vice President; Dr Mohamed Raouf A. DARWISH, AWC Treasurer; Dr. Hussein El-Atfy, AWC Secretary General; Prof. Khaled Abu Zaid, AWC Technical Director and Eng. Heba Al-Hariry, AWC Deputy Technical Director. With the signing of this MoU, AWC and IWMI launch a regular, wide-ranging cooperation in various water related areas including Water Resources Management, Water productivity, and Water accounting...etc. Under this MOU, a research agenda and policy scenarios of interest will be conducted to assess the development of necessary evidence-based research and enhance the transfer of technologies towards achieving the SDGs in the MENA region. Additionally, partnerships will be established for co-organizing conferences, training workshops and capacity development activities in water and agriculture-related topics to enhance knowledge dissemination and awareness raising.